Imagine that the path followed by medical students is a pipeline, in which eager people enter enthused about pursuing academic medicine and emerge years later as physicians, medical school faculty and biomedical scientists and researchers. For those students who fall into underrepresented minority groups, that pipeline is in desperate need of a plumber who can increase the reservoir and minimize leaks (i.e., dropouts). Because of that plumbing problem, even as the U.S. population becomes increasingly diverse, the number of underrepresented minorities among U.S. medical school faculty remains disturbingly low. Based on the number of underrepresented minorities currently being trained in medicine, the trend is not likely to reverse, despite current efforts to diversify the pool. Underrepresented minorities include blacks or African-Americans, Hispanics or Latinos, American Indians, Alaskan and Hawaiian natives, and other Pacific Islanders. These underrepresented minority categories account for only about 7% of practicing physicians in the United States, even though those populations make up about 35% of the U.S. population. Similarly, in 2008, only 7.3% of all medical school faculty members were underrepresented minorities. If trends continue in the U.S. population, the lack of diversity at medical schools and in medical research will continue to be a significant problem. The current U.S. population is on pace to become nearly 50% nonwhite or “persons of color” by the 2050 U.S. Census. Although with each successive generation, we clearly witness and document substantive changes ushering us toward the utopian goal of a color-blind society, the numbers bear witness to the fact that significant changes need to occur. With respect to healthcare, minority populations are more likely to receive uncompensated healthcare—healthcare that is delivered, but not paid for by either a patient or a third-party payer. Most uncompensated healthcare is delivered to the very ill during or after a visit to an emergency room. In 2004, uncompensated healthcare in the U.S. was valued at $41 billion. Assuming that those likely to receive uncompensated care will make up a larger share of the patient base at minority physician practices provides some impetus for increasing the number of practitioners and academicians who are underrepresented minorities. Black physicians care for significantly more black patients (25 percentage points more vs. other ethnic group physicians) and for more patients on Medicaid (on average 45% of their patients were insured by Medicaid). Hispanic physicians care for more Hispanic patients (21 percentage points more) and more uninsured patients than do other physicians. There is evidence that black and Hispanic patients seek physicians of their own race because of personal preference or language, and not only because of geographic proximity. Thus, simply from economic necessity, the healthcare delivery system must factor in how to increase the number of physicians who will deliver healthcare, as well as increase the number of physician scientists, clinical investigators and scientists who will analyze the ailments that plague these populations. And just as importantly, academic medical faculty who are training the next generation of physicians as well as those delivering healthcare should reflect the diverse populations they will be serving. We also know that minority populations may be more likely to have more serious healthcare problems, either because they delay care because of financial constraints or lack of access to providers. Enhancing the pool of underrepresented minorities among faculty and physicians will likely help alleviate some of the disparities in the quality of care among those populations. Efforts have been made, most notably, a national initiative led by the Association of American Medical Colleges that sought to enroll 3,000 underrepresented minorities annually into U.S. medical schools by 2000. As of 2007, however, the number of admitted underrepresented minorities in medical schools was only 2,500. Of total medical school enrollment in 2007, 6.4% were black, 7.2% were Hispanic and 0.5% were American Indian, Alaskan or Hawaiian natives and other Pacific Islanders. Complicating this problem is gender inequity. The percentage of male faculty outnumbers female faculty dramatically, and we see a decline in the percentage of women moving through the career ranks from instructor to professor. Students in underrepresented communities need to be encouraged to study science and pursue biomedical fields. Once that pool has increased, strategies must be developed to retain trainees and potential faculty members primarily by engaging committed academicians who are not underrepresented minorities. Also needed are joint city, state and private efforts, along with universities and colleges, such as the Preuss School UCSD, a joint venture between the San Diego Unified School District and the University of California at San Diego. Currently enrollment in this program is 59% Hispanic and 12% black. Medical schools should consider adding to their mission statements the improvement of the health of the underserved and disadvantaged. They should establish deans and directors in charge of promoting diversity—and provide them with the funds to make a difference. Schools should consider using their faculty who are underrepresented minorities to speak at high schools or colleges and provide them with time for mentoring. The National Institutes of Health must get involved to address the problem, too, and work to scale up institutional, state, local and government efforts. We also challenge those students who are underrepresented minorities to acknowledge that many of the overt barriers to their success are no longer insurmountable and to identify role models, network and realize that their abilities to achieve are limitless. 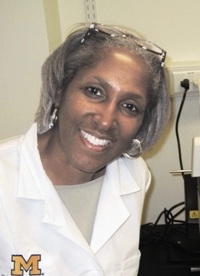 Juanita Merchant is a professor in the departments of internal medicine and molecular and integrative physiology at the University of Michigan at Ann Arbor. 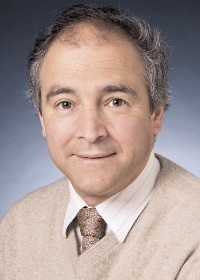 M. Bishr Omary is chair of the department of molecular and integrative physiology at Michigan. Both are also physicians.